Unwanted guests are never fun, especially when you can’t ask them to leave. Luckily, Fishermans Cove pest control companies have no problem kicking them out. Whether there’s a rodent in your basement or insects in the attic, call your local Fishermans Cove exterminator to take care of them — do not try to wrangle them out yourself! Not sure which type of home pest control service in Fishermans Cove, BC can tackle your issue? Read profiles and ask about their past experiences to get a good idea. For more than 25 years, Vancouver Pest Control Ltd has been providing certified residential, industrial and commercial extermination and pest control services in Vancouver and Maple Ridge. 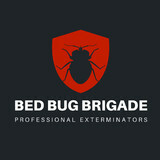 As a government certified and experienced exterminator, our goal is to safely and effectively rid your home or building of destructive pests such as rodents, bed bugs and birds. Our highly trained exterminators will arrive at your home or place of business in an unmarked vehicle to guarantee your privacy. 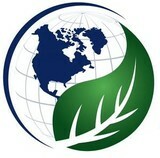 We practice IPM or Integrated Pest Management, which is a method that limits the use of chemical extermination and utilizes natural options such as sanitation, pest proofing, habitat modification and trapping to offer you less toxic options that are safer for you, your family and your pets. 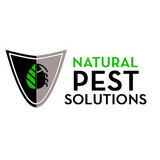 We are committed to providing you with the highest quality pest control services at the most affordable rates. For a free service quote, call us today.